It looks like Neopets' social media team jumped the gun a little bit early and posted about an upcoming Premium sale (which is not live yet!) In recent weeks, TNT (via hardtotame's Q&A) have hinted at new features coming to Premium users, and we finally know what they'll be! Got Premium? The price for an annual subscription is on sale! 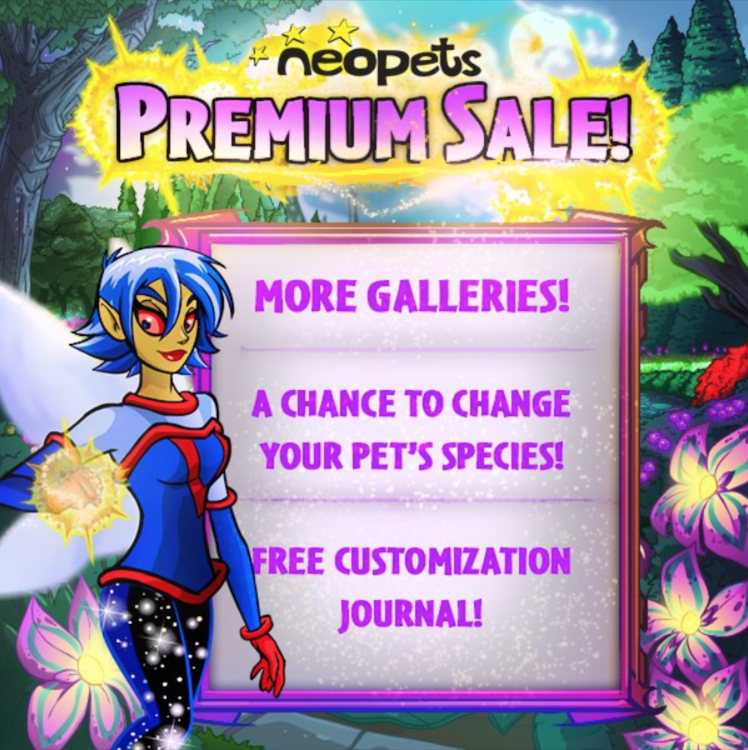 There’s also some new perks to enjoy: Change your pet’s species once a year, save your customization outfits to show them off to your friends, and own up to 30 galleries! Make good use of this sale and get Premium now! Once the sale goes live (along with the new Premium features), we'll post again with more information!